Legend Rare Coin Auctions (www.legendauctions.com) presented the 25th and first Regency Auction of 2018. Held Jan. 25 in conjunction with the PCGS Members Only Show at the Luxor Hotel in Las Vegas, nearly 330 lots were offered. Leading sales was a GEM 1920 $20 double eagle, one of only two coins graded MS65 by PCGS. The rarity had a pre-auction estimate of $100,000+. LRCA notes that there were three active bidders at $120,000, and then two bidders ran it up until the hammer struck at $188,000 including the 17.5% buyers premium. "We were very pleased with how this sale came together, from beginning to end," Julie Abrams, LRCA president said. "Clearly the market is starved for great coins. There was strong bidding activity from the moment the sale was posted online for bidding, and it continued through the live bidding." The second leading rarity of the event was the finest known Original Proof 1852 dollar — one of three known and graded PCGS PR65 CAC. It brought $129,250. "Put together over the years by a dedicated collector with a sharp eye, the offering brought out many serious collectors of the series, with bidding wars fought out on many lots," LRCA said in a new release. "This action continued when the three cent silvers from other consignors were offered later on in the evening. The Ipswich Collection anchored the sale, and there were rarities of various consignors, including the Edmund Family Trust. Two coins brought exemplary prices after collectors fiercely battled out to the end. The first was lot 220, a PCGS MS66 CAC 1881-S dollar that realized $21,150, on a $9,500 presale estimate. The second, lot 236, a dramatically toned 1922 Peace dollar in PCGS MS66 that saw a total of 50 bids from 11 different bidders, before the gavel finally fell at $8,812.50 on a $750 presale estimate. 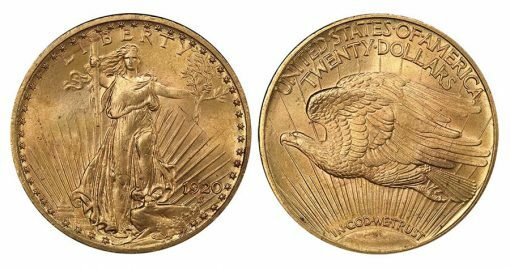 "From what we have seen over the last several months, there is a serious drought for great coins in the large auctions and out there on the bourse floor," Laura Sperber, founder of LRCA said. "Our model of hand selecting high quality coins for inclusion in our boutique sales ensure that every buyer will be delighted with the coins purchased in our sales." Legend is now accepting consignments for all remaining 2018 Regency and Premier Sessions auctions, including Regency Auction 26, being held in New Orleans on May 17. If you have any coins you are looking to consign, talk to Julie Abrams or Greg Cohen. You can call the office at 732-935-1168, or via email, julie@legendauctions.com, or greg@legendauctions.com. two of the higher mintage *silver dollars of their time, it’s said the 1881s *morgan is the best well stuck *morgan of the run, for the high mintage, i like what i sea* a mint state 66 hi bid over $20,000 & the common date 1922 *peace $, hi bid a little under $90., of $9000. in a grade of mint state 66, vivit*ly toned + the only one i sea* without the [cac] stamp of ahproval*like the stamp of the [bbb] or stamp of [ GHK] seal or stamp of ahproval, but for a cost.